Did Vicki manage to play nice with her fellow housewives? 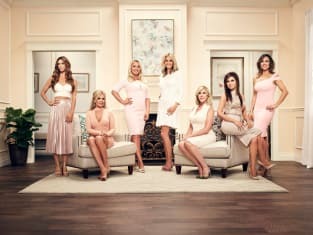 That was revealed on The Real Housewives of Orange County Season 12 Episode 1 when it became apparent that the cast members were over Vicki's crazy ways. Meanwhile, Tamra reunited with an old friend, but was the friend the newest addition to the cast? Also, Lydia tried to reconnect Tamra and Vicki, but it proved to be a difficult task after everything that had transpired between them. Use the video above to watch The Real Housewives of Orange County online to get up to speed with the latest drama for the ladies.